Contact Adoption Coordinator at Pets Without Partners Animal Rescue Inc. to express your interest. Another successful adoption - amazing work Pets Without Partners Animal Rescue Inc.! More successful adoptions - amazing work Pets Without Partners Animal Rescue Inc.! Rescue group: Pets Without Partners Animal Rescue Inc. 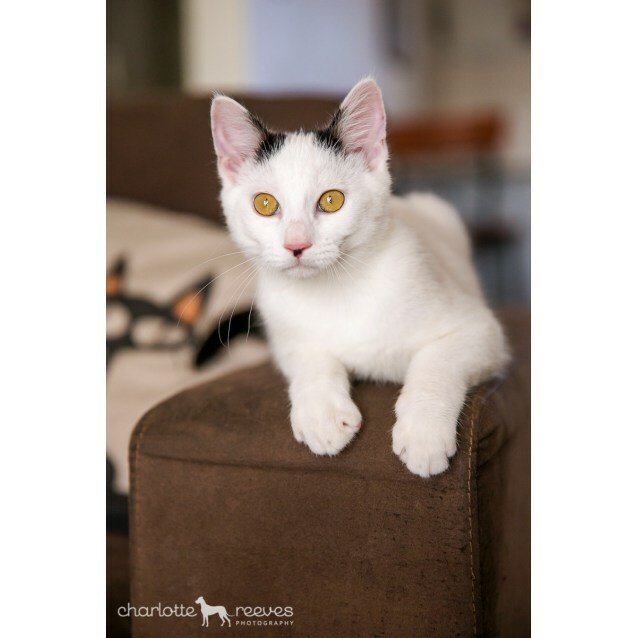 Rescue kitten for adoption in Upper Mt Gravatt: Harvey the Heartbreaker started his life out on the streets, but was rescued when he was just 10 days old. 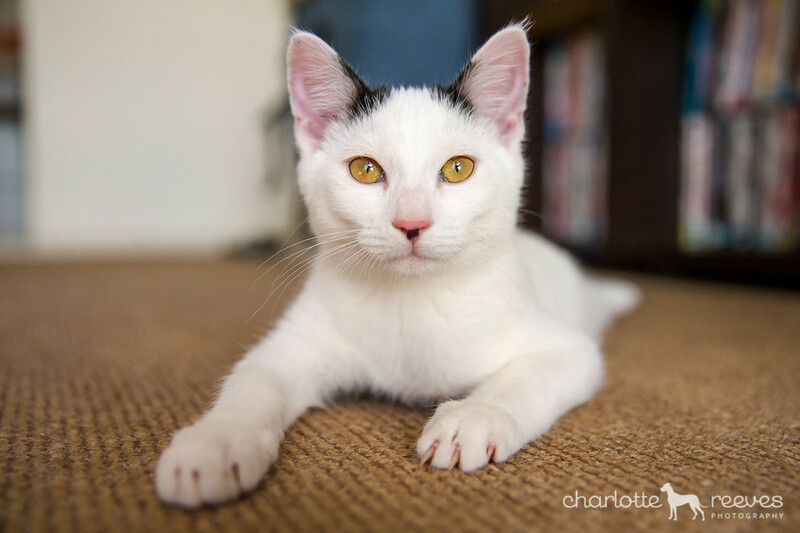 He has been raised in a foster home with lots of handling and attention, so he loves his humans! 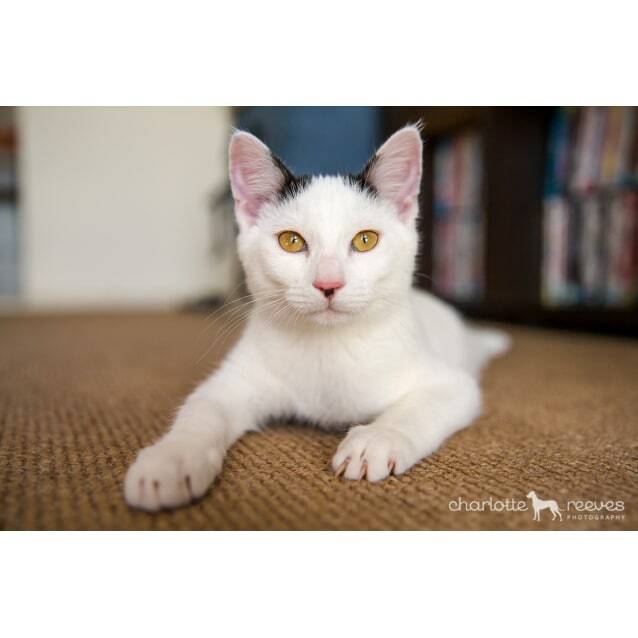 Harvey is a little ball of energy who thrives on love and attention. He spends most of his days playing – be it with his toys or play fighting with the resident cats or his brother Archie. He is a full on, 8 cylinder kitty who doesn't stop for very long. He will tire you out and be your shadow, we promise in return you will get a lot of laughs and pats and licks and purrs. He is outgoing, social and affectionate and will ask you for lots of human contact. 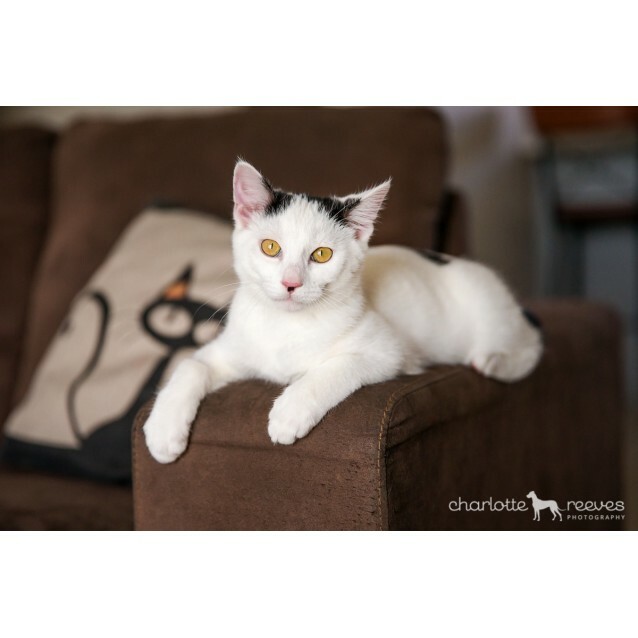 At night he enjoys curling up with his foster mum for cuddles and pats and is happy to purr the night away in his human’s bed. Harvey is toilet trained and well behaved, as long as he is entertained. Like most kittens, if he is bored he will go searching for fun and that’s when he gets himself into mischief! He will do well in a house where he has the company of another cat that he can play with, as he hates being alone for long periods of time. He would not suit being an only cat alone all day. His approximate date of birth is 15/03/15. 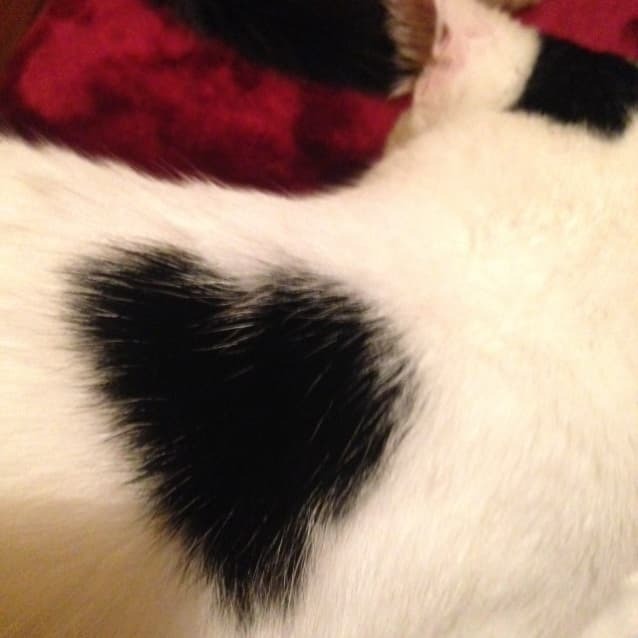 He gets his name from a heart-shaped black mark on his shoulder - it's adorable! Our adoption fee includes a veterinary health check, vaccinations, microchip and spay/neuter, as required. Our kittens, adult cats, puppies and adult dogs are covered by a 30 day "settling in period." If you don’t believe the pet you chose is suitable, he or she may be returned to us and your adoption fee will be refunded in full. 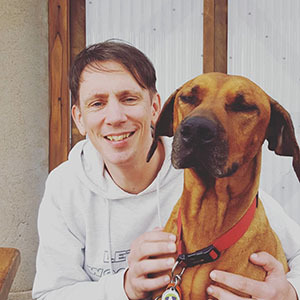 Existing health conditions are addressed at the time of the initial veterinary consultation and declared in the "medical notes" on their individual listing. During the "settling in period" we offer assurance to address any health concerns, pre-existing or otherwise, provided they are brought to our attention within 30 days from the date of adoption. This excludes any illness or injury is deemed accidental or deliberate. In the former instance, we will recommend you make an appointment with one of our participating vets for a consultation. Should you choose to use a vet of your own choice, we will not be responsible for the reimbursement of your vet fees. 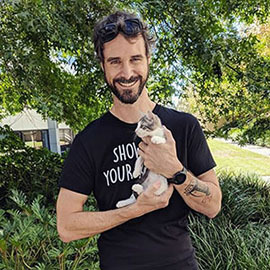 Applicants wanting to adopt a kitten less than 20 weeks of age must be located within a reasonable proximity to one of our participating Brisbane vets. Please note that we do not freight our kittens, adult cats, puppies or adult dogs. Adoption applications can be completed on-line at www.petswithoutpartners.org.au where you'll find the appropriate links (to the forms) on our home page.